“My job is to align the company’s technology vision with actual operations,” he explains. Chris started his MTSU career in 1996 with the general idea that he wanted to work in audio production. Even at that time, the College of Mass Communication offered plenty of opportunities for students to explore music production, post-production, audio for film and many other fields, according to Chris. He built up his reputation with professors, becoming heavily involved in program activities and working as a professor’s assistant. After he graduated in 1999, Chris was offered a job at MTSU as an adjunct professor. He gladly accepted. Over the next year or so, he taught some intro courses in audio production and spent a lot of time working on a new audio console MTSU had acquired. This experience turned out to be incredibly valuable, making him a desirable candidate for several organizations with the same console. “I got to choose which place I went to work, which was a huge turn of events,” he says. He ended up choosing NPR because of its mission-driven nature and its wide range of available opportunities. The College of Mass Comm gives students unparalleled access to its facilities. “I basically lived in those recording studios for three years,” Chris says, and it definitely paid off. Once he was promoted to his current title, he continued his relationship with his alma mater. 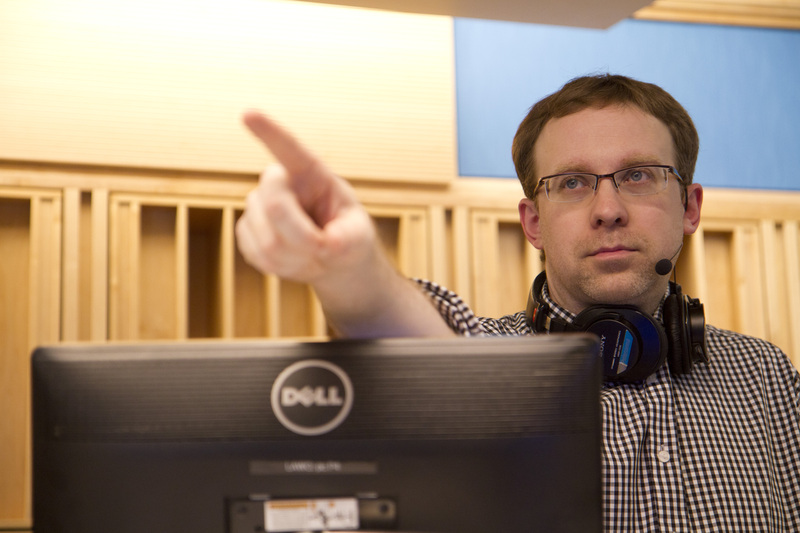 When a broadcast recording technician position opened up at NPR, Chris asked MTSU faculty for recommendations for the role. In the end, Andy Huether got the gig. Andy received a master’s degree from MTSU in 2012, and he spent his undergraduate years at Butler University in Indianapolis. “I really enjoyed my time at Butler, but I felt like I wasn’t 100 percent prepared to start working right after graduating,” he says. “I just personally wasn’t quite there yet.” His adviser at Butler encouraged him to look into Mass Comm’s graduate program, and Andy was pleased with what he saw. He entered the program in 2009 and became heavily involved just as Chris did before him. “I got involved with the mobile production lab with the EMC department, working in the truck a lot,” he says. The mobile production lab exposed him to live radio and TV broadcasting in an exciting, engaging way, leading him to work with Tennessee Digital Video, a mobile television production company that operates a fleet of customized trucks. TNDV is owned by a Mass Comm graduate, Nic Dugger. When he heard about the position at NPR, he applied and began to talk to Chris, who coached him through the application and interview process. Huether launched his NPR career as a broadcast recording technician in January 2013, mixing audio in real time as millions listen in. He lives downtown in Washington, D.C., about six blocks away from work – not a bad commute. “It takes me about 10 minutes on my bicycle,” he says. 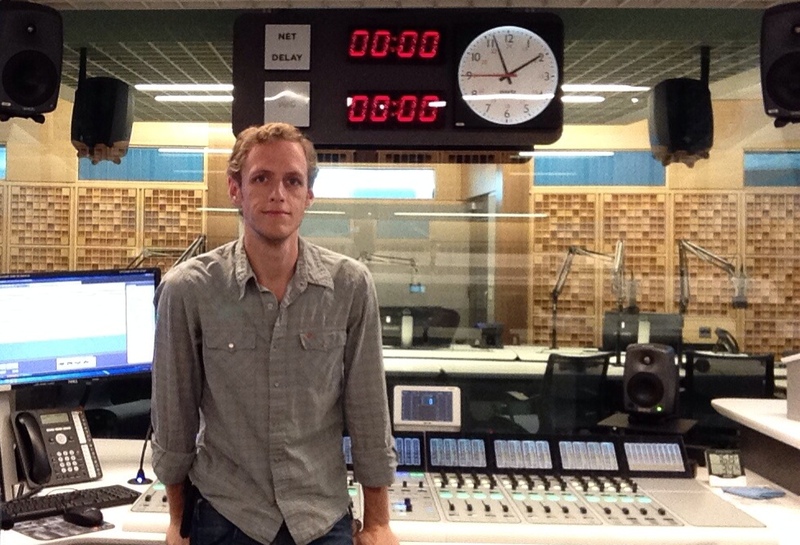 One of his favorite things about working at NPR is simply telling people he works at NPR. “I usually get a big reaction,” he laughs. He and Chris are proud of their employer, yet it is a long way from Murfreesboro to Washington. Both are quick to mention the guidance, resources and opportunities that helped them make the trip. This story was written by Seth Caldwell, a 2014 public relations graduate.